On Sunday March 20th at 12pm PST I'll be playing Isildur1 heads up across 4 tables of $50-$100 no limit hold'em on PokerStars.com. We'll both have a bankroll of $150,000 to play with and will play 2500 hands on the 20th. 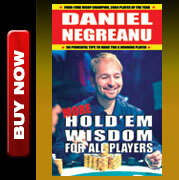 If no on goes broke, the match continues the following Sunday March 27th for another 2500 hands. At each of the four tables we'll start with $10,000 and auto top up for as long as there is reserve in the $150,000 bankroll. Depending on how action plays out, stacks may end up splitting if either of us can't put up $10,000 on a fourth table. The SuperStar ShowDown was very intriguing to me when I first heard about it, the problem was, I simply couldn't compete. I've never really multi-tabled, especially not heads up. So I decided to get to work on practicing and see if it's something I thought I could handle. I played matches against a wide variety of players and pretty quickly adjusted to the speed of the game and that is not a concern in the least anymore. If you ever play Nanonoko 4 tables heads up, anything else feels like slow motion. My results in my matches helped boosted my confidence immensely. Not only did I feel "in the zone" while playing, but stamina across 2500 hands is also not an issue. The only real "issue" at this point is experience and skill. Isildur1 has a lot more experience then I do, but I feel I might match up well against him. We'll have to see March 20th. Pre-flop: I'll be min-raising on the button probably around 95% of the time and folding the very worst hands. If he raises from the button, I'll either fold, call, or 3 bet to 1000. If I raise to 200, he makes it 900, and I decide to 4-bet, the bet sizing will depend on how deep we are. At the minimum, if he is in fact going to make it 900 as he did against Issac Haxton, my 4-bets will be to 2100 if we are only 10k deep. If, his 3 bet sizing is to 700, then I'll adjust as well and 4-bet to 1800 if we are 10k deep. The deeper we get, the bigger my 4 bet sizing will be, but probably never more than raising his 900 to 2400. That will also depend on how often he calls my 4-bets, and/or 5 bets me. Flop: In position, when checked to, I'm betting 50% of pot ($200) a very high percentage of the time. If I'm check raising the flop, it'll generally be close to 3 times his flop bet, whatever that ends up being. In pots where I 3-bet him to 1000, I'll be betting 60% of the pot, or $1200. Turn: In position in spots where he check called the flop, I'll be betting $600, or 75% of the pot. River: I'm not telling! LOL, this will depend heavily on many factors that I can't share without divulging too much information about my approach, but lets just say that I'm not exactly committed to any "small ball rules" on the river. I'm pretty sure this is an approach that Isildur1 doesn't enjoy playing against, but I'm not exactly trying to make him feel more comfortable. My goal is to win, and this approach is the foundation for how I plan on doing that. I'm not worried about giving away this information, because within 100 hands it will all become very obvious anyway. After Isildur1 lost his opening match to a formidable opponent in Isaac Haxton, Isildur1 hasn't lost a match. Speaking of Issac Haxton, on a totally unrelated note I was horrified when Prahlad Friedman accused him of cheating on UB, without a shred of evidence. That one just boggles my mind to no end. This isn't the first time Prahlad has wrongly accused someone of cheating (Jeffrey Lissandro "I don't trust you" antegate from WSOP) and I don't know exactly why he'd do something so foolish. Cheating is a very serious allegation and if you are going to accuse someone, you better have some concrete evidence. One thing is for sure, UB is finding ways to stay relevant on the newsgroups, but as always, for all the wrong reasons. In a previous blog I mentioned that I wish more people would speak out against UB, and I'm happy to see more and more players not standing for the garbage they are spewing to the poker world, and that they won't ever let it rest. The goal for UB is obvious, and it makes sense: do everything you can to separate the "New UB" from the old regime. Logical. Problem is, the leader of the "New UB's" initial reaction to the cheating scandals was to cover it up. So while the new leader wasn't caught cheating, there is plenty of proof, and an admission, that the new UB was involved in a cover up that essentially aided and abetted the crooks of the so called "old regime." Paul Leggat will always be connected to the old regime, because he tried to help them get away by wanting to cover it up. There is no excuse for that. If I ever found out something like that, it would be more than enough reason to walk away from any endorsement. How can Leggat ever be trusted after this has been exposed? How can anyone honestly claim to endorse this company and say that money isn't the real reason for it? The icing on the cake for me is pretty damning. 2+2 sleuths uncovered 61 accounts linked to the cheating scandal. I believe that's the number, but correct me if I'm wrong. Now, is it even remotely possible that the 2+2 sleuths caught each and every account involved? The odds of that being true are astronomical. So how many accounts did UB's investigation uncover? Zero. No, I'm not joking. Does anyone believe that Paul Leggat and company really didn't find even one other account involved in shady activity? If you are truly OK with the FACT that the CEO of your company was involved in a cover up, and didn't come clean until after 2+2 caught him, then you simply live by a different moral code than I do. Wearing a UB patch is akin to sticking out your middle finger to the poker world. I just don't see how anyone can rationally defend representing that company. I don't hate everyone over there, but I completely disagree with each and every one of their decisions to support a company that's forever tarnished, regardless of how much they are being paid. 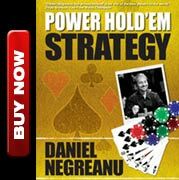 If you are truly a professional poker player, then having a sponsorship deal is NOT a necessity. It's a choice. Do the morally right thing, or take dirty money to wear black and yellow.